After three and a half years of planning, fundraising, design, and permitting we are very excited to announce that one of our largest restoration projects is breaking ground! 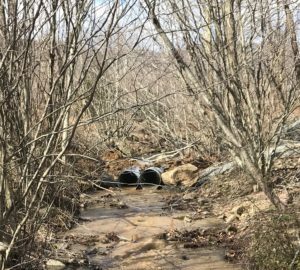 We are working on a large fish passage and stream restoration project on a tributary to the upper Rapidan River in Madison County with our partners at the Virginia Department of Game and Inland Fisheries (DGIF), Trout Unlimited, and Ecosystem Services LLC. 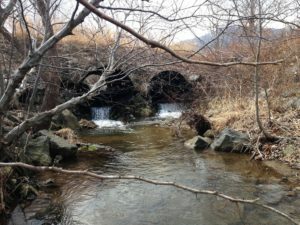 The plan is to remove an old bridge that has two huge culverts underneath which prevents eastern brook trout and other native fish species from accessing important protected habitat upstream in Shenandoah National Park. The old bridge will be replaced with a “fish friendly crossing,” which will open up 2.7 miles of habitat for our local brook trout! 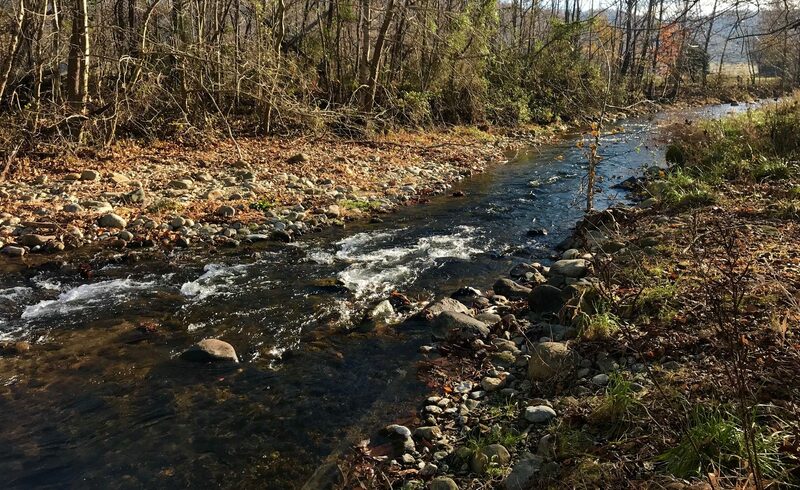 In addition to improving fish habitat, this project will improve water quality in the Rapidan River, Rappahannock River, and the Chesapeake Bay. Nitrogen, Phosphorus, and Sediments are three pollutants that have a huge impact on our local waterways and this project is one of many strategies to help reduce pollution. 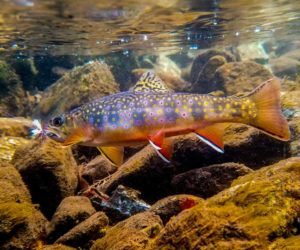 Eastern Brook Trout – Salvelinus fontinalis- is the Virginia state fish and can only live in cold, clean, healthy water. They are native to Virginia and can be found throughout the mountain streams of the upper Rapidan River. Phase I includes the creation of a temporary stream crossing, removal of the existing crossing, stream bed and habitat improvements, and installation of the new fish friendly crossing. FOR restoration staff are excited to be out in the field leading this effort! Phase II involves planting trees and shrubs in the riparian zone adjacent to the stream, fish population surveys, and water quality monitoring. This will help improve water quality, regulate the stream temperature, improve habitat for both fish and wildlife, and provide important monitoring data. We are lucky to have a great team of volunteers from the Rapidan Chapter of Trout Unlimited and DGIF staff to help with Phase II! This is a big project and we will continue to provide updates as we near completion! Make sure to follow us on Instagram and like us on Facebook to track our progress on this and other great restoration projects! This project is made possible through generous funding from the National Fish and Wildlife Foundation’s Chesapeake Bay Stewardship Fund, Virginia Environmental Endowment, Patagonia World Trout Initiative, Trout Unlimited’s Embrace a Stream Program, and the Chesapeake Bay Restoration Fund.